At ASI, we know that system efficiency is vital to your success. So, we've dedicated ourselves to providing single and multiple utility providers with innovative, versatile Financial Management, Customer Billing, and Service Order solutions to best meet your needs. These solutions provide a fluid interaction between you and your customers. ASI provides unlimited, ongoing customer support with all products and services purchased for a standard monthly fee. Support is offered by technicians with an average of more than 10 years of experience. ASI also will provide technical services as needed when necessary modifications are required to meet your utility's changing needs. Individual estimates can be provided on a per project basis. 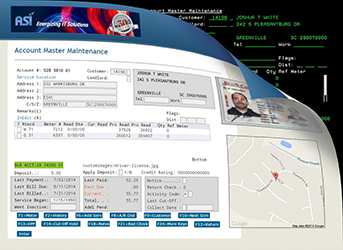 ASI has developed a modern, web-based approach for utilities' Customer Billing, Financial Management, and Service Order Systems. ASI's web-based software combines the functionality of your utility software with the style and ease-of-use you expect to find in a web application. 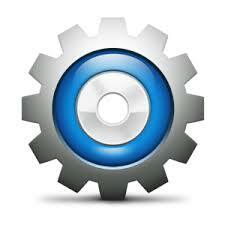 Long gone are the days when you were required to key in commands or functions to navigate through systems. With ASI's web-based solution, you rarely have to take your hand off of the mouse. As you quickly maneuver through multiple systems and jobs with just a few clicks, you'll see just how much time you save and frustration you avoid. To learn more about this service, Click Here. ASI also has developed in-house document scanning and check processing solutions to boost productivity and reduce unnecessary paper and costs. These solutions reduce labor and frustration while helping with organization and efficiency. They are just a few more ways that we're striving to make your business more efficient and effective. For a comprehensive list of our products and services, Click Here.